Seattle isn’t a musical hot spot for nothing. 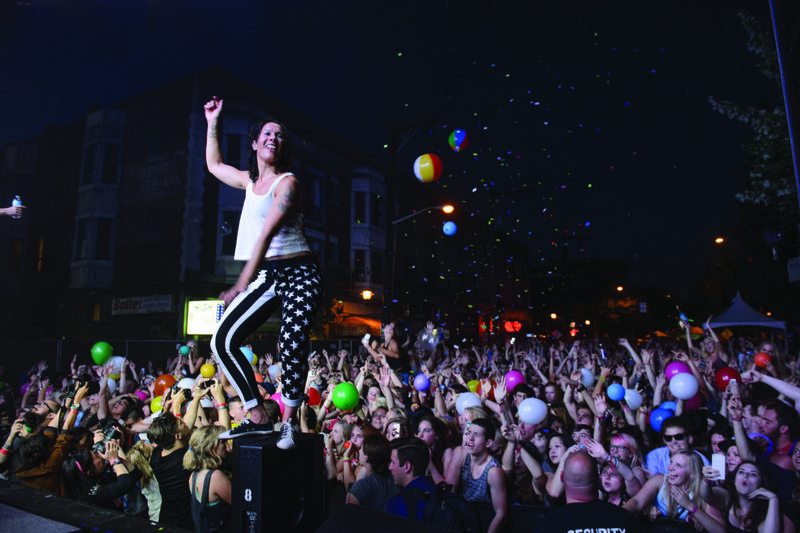 Bands and fans come out in droves year-round. The biggest music festivals in the city are the uberhip Capitol Hill Block Party (July; capitolhillblockparty.com) and the ultradiverse Bumbershoot Festival (*Labor Day weekend; bumbershoot.org), starring Ellie Goulding, Hozier, and The Weeknd. Join thousands who turn out every year to enjoy the diverse lineup and discover new artists. The home turf of the Seattle Seahawks also becomes a music mecca as CenturyLink Field (800 Occidental Ave S; centurylinkfield.com) hosts megastar acts like country crooners Kenny Chesney and Jason Aldean, British boy band One Direction, and chart topper Taylor Swift. Another great bet for live tunes under the stars is at one of the city’s summer concert series. Snap up tickets to hear the likes of Ziggy Marley and Kenny Loggins during Woodland Park Zoo’s ZooTunes (*June–August; 750 N 50th St; zoo.org/zootunes), and buy a bottle of wine to sip as artists such as Harry Connick Jr. and Sheryl Crow play during the Chateau Ste. Michelle Summer Concert Series (*June–September; 14111 NE 145th St, Woodinville; ste-michelle.com) at the winery. If you have time for an overnight getaway, make the three-hour drive to one of the most scenic concert venues in the country, Gorge Amphitheatre (754 Silica Rd, Quincy; gorgeamphitheatre.net), a 20,000-seat venue overlooking the Columbia River. It has hosted the rock sounds of Train and the Foo Fighters, plus the annual Labor Day Weekend visit from Dave Matthews Band. Look no further than Seattle’s KeyArena (305 Harrison St; keyarena.com) and the elegant-yet-intimate Paramount Theatre (*911 Pine St; stgpresents.org), though, to see some of music’s biggest names. Rush, 5 Seconds of Summer, and The Who have headlined at KeyArena. At The Paramount, music lovers have enjoyed a robust lineup of indie rock favorites, along with family favorite Idina Menzel, and local heroes Death Cab for Cutie. Editor’s note: specific musical artists listed above reflect performances during the 2016 lineup. Please see the venue page for upcoming show information.